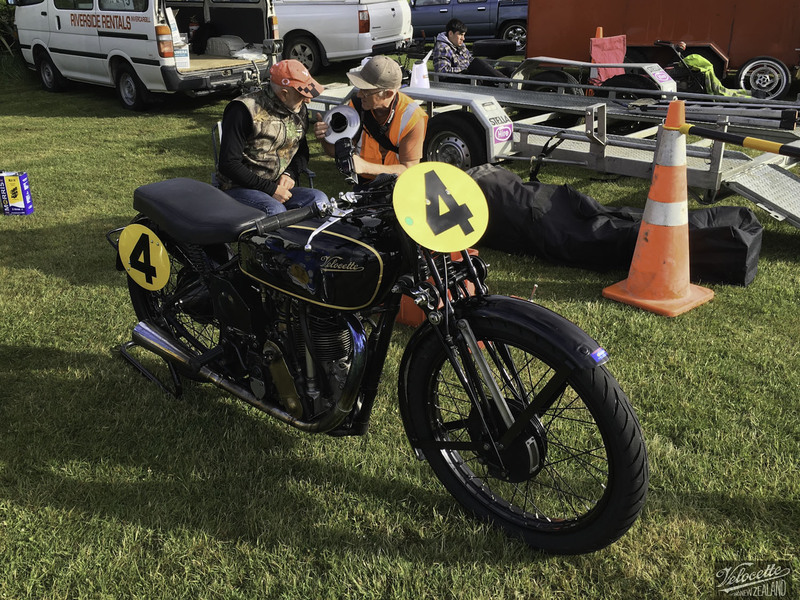 Three Velocette Racing New Zealand galleries shot at the Teretonga Circuit on Practice Day, Friday 27th November 2015. In the feature image Bill Biber sweeps through the “S” bends at Teretonga aboard the Big Velo 500. Bill Biber, focused on riding the Big Velo first. 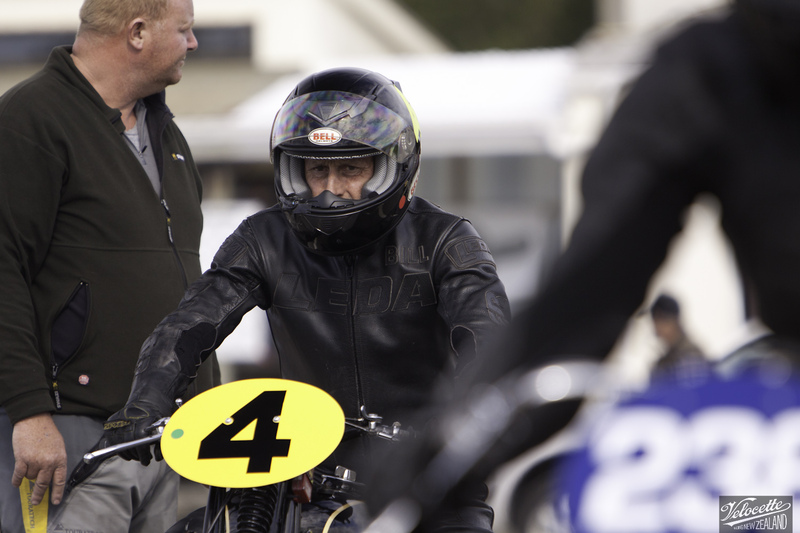 VRNZ photographer Shaun Waugh consults with Bill Biber regarding favoured “highside” trackside viewpoints.